New US law bans loud TV adverts - UK to follow? | What Hi-Fi? New US law bans loud TV adverts - UK to follow? Interesting news from America, where the Federal Communications Commission (FCC) has outlawed over-loud TV commercials. The new Commercial Advertisement Loudness Mitigation Act - aka the CALM Act (see what they did there?) - will require TV adverts to have the same average volume as the programmes they accompany. "Most of us have … experienced this ourselves: You're watching your favourite television programme, or the news, and all of a sudden, a commercial comes on, and it sounds like someone turned up the volume — but no one did. Today, the FCC is quieting a persistent problem of the television age: loud commercials," FCC Chairman Julius Genachowski said. Broadcasters have a year to implement the changes; TV stations must be compliant by December 2012. 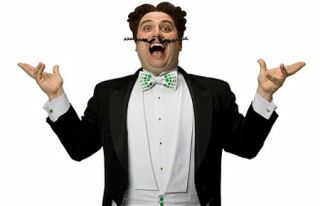 So, could the UK follow suit, and the Go Compare man (above) be made to sing that bit more quietly? We contacted OFCOM - the UK equivalent of the FCC - who said this is a matter for the Advertising Standards Authority (ASA). The latter claims there are already rules in the advertising code that say TV ads 'shouldn't be too strident'. However, an ASA spokesperson said they can – and do – address the issue regularly, and viewers should complain to them when they encounter excessivly noisy adverts. If the ASA receives enough complaints, as well as censuring the broadcaster/advertiser concerned it can flag up the issue for industry attention – which could lead to stricter rulings here in the UK. So, if you're fed up with blaring ads, note the offending article and fill in a complaint form on the ASA website here.